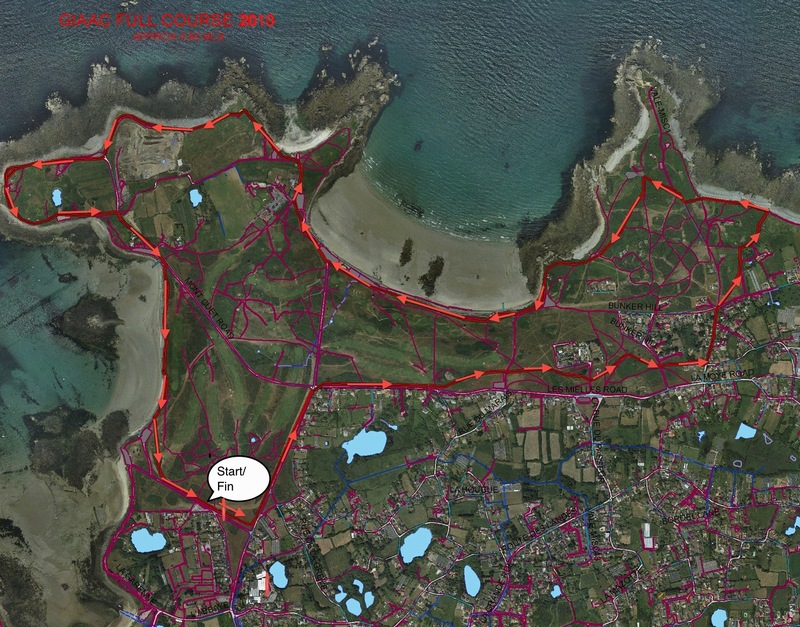 The Full Course is perhaps the definitive race circuit in Guernsey. Ranking lists below. The route itself has varied varied slightly over the years but is based on a 4.75 mile loop taking in the perimeter of what is generally known as L’Ancresse Common(Easter Version of Route here). Its history provides a great perspective of the relative standards of athletes across the decades….. or does it? There’s a thread in the Hitchhikers Guide to the Galaxy story that outlines the existence of the “Total Perspective Vortex” which, if exposed to, highlights just how insignificant a being really is and causes them to go insane. Except, that is, for two headed alien super-dude Zaphod Beeblebrox who came away self assured of his importance. In a bid to recreate the cosmic vortex with a local athletics twist we managed to assemble the combined press cuttings of Ossie Naftel, Keith Gallienne, Brian Holden and Dave Dyke, various Easter results, a few hand written notes and pieces of grey matter on my kitchen table and, after focusing their combined energy through our microwave, generated a vortex which resulted in the following list. Unfortunately my own clocking of 23.15 witnessed by a couple of golfers, a rabbit and a greying lady out walking her dog appears to have disappeared down a black hole but most other times appear to have remained intact. It’s difficult to explain the importance of the course to anyone who wasn’t involved in athletics during the ’70’s and ’80’s but we know that when Paula finally lays her Athens demons to rest with victory in Beijing Crammie (being of ’80’s vintage) will ask her what she thinks she could “do for the Full Course” .. and we also know the real reason that Mezza is targeting the Melbourne Commonwealth games 1500M is to get a bit of speed-work in prior to this years Easter Keith Falla Memorial event. Early races were re-located to Athens circa 4000BC when IDC permission was finally granted for the Fouillages Burial site near Lucksall and athletics did not return to L’Ancresse until the 1950’s when the course was adopted by the fledgling cross country section of the club as a training route of 4 5/8 miles. It was then used for a Boxing day event, a New Years day handicap and even prior to the first Easter Festival (1982) a “Good Friday” Cross Country. Somewhere in between these dates Elizabeth College used it for their Senior cross country. Us Grammarians had to do with a version that cut between L’Ancresse Lodge and Tower No 5 – a course of roughly 3.6 miles known as the “short course”. The original route was pretty much as we use today except that it passed on the North side of Rocque Balan, passed over the spine of le Cateline hill nearest Fort Le Marchant and appears to have taken the shortest route along L’Ancresse headland (i.e. to the North of both kiosks) – A club EGM was called in the early ’80s to ban the practice of running on the sea wall itself !!! The 1960’s version of the course also took in “The Journey to the Center of the Earth” in dipping in and out of Choeut quarry – though without knowing how deep the quarry was at the time it’s difficult to work out whether that option is any longer than the trek we take round the recently extended perimeter. The other latter day difference is at Lucksall where we now continue around the horse racing course. The old route cut a diagonal across the football pitches, across the golf course fairway and was probably 80 or so Metres shorter than present. The late ’80s was a bizarre period where this longer “Easter” version of the course was adopted for some, but not all, events and culminated in the disqualification of the leading 10 runners in a summer event for knowingly diverting onto the shorter route “because they were on for a good time”. The consensus seems to be that the course we use now is definitely longer than the original distance but the surface is much better with lot more cinder paths and that of greater significance are the race conditions and strength of fields. It is perhaps wrong to rank times to the second but what the hell. 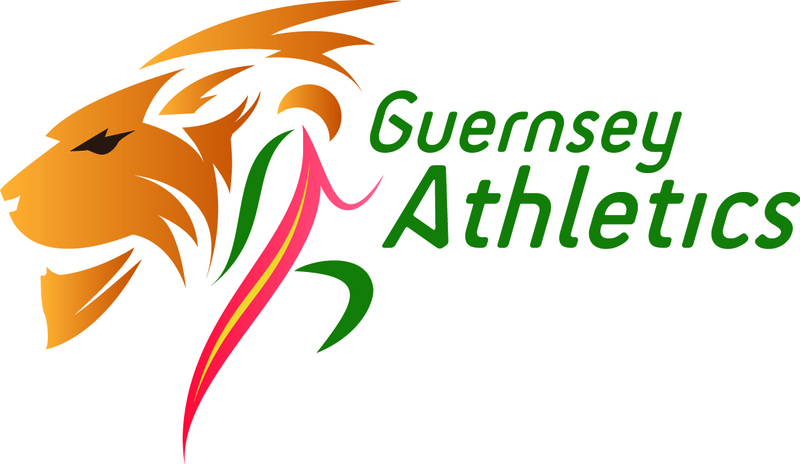 The haziest period is from Guernsey Athletic’s dark ages (1966-1975) and we have possibly missed clockings from Keith Falla and Frank Allen – though we have listed the fastest found. Going back to perspectives the “standard” was sub 30 for men, and probably sub 35 for women. The findings of this short search would indicate that anyone clocking sub 25 definitely emerges from the Vortex as a Zaphod.